Homemade Onion Dip made from scratch is super easy to make, perfectly seasoned, creamy, and full of sweet and golden caramelized onions. One of my very very favorite things to munch on is potato chips. Give me a good onion dip to go along with the chips and I'm in heaven. Chips and dip lover right here. I actually contemplated making my own onion dip for quite some time. I don't know why I put it off for so long considering I've been making more and more things from scratch to try to cut out some of the processed junk and chemicals found in so many foods. My only regret about making this homemade version is that I didn't do it sooner! It was SO GOOD! Easily rivaling any store-bought french onion dip, this version has tons of sweet caramelized onions that are mixed with a perfectly seasoned and creamy base. I've eaten my share of onion dip in my 35 years and I'll tell ya, this dip is delicious. It's so easy to make, but remember to get it done ahead of time so that it can chill in the fridge! The longer it sits in the fridge, the more the flavors really shine when you finally dig in. I made it for my daughter's birthday party a few weeks ago along with Beer Dip and Sausage Cream Cheese Dip. (No, one dip isn't good enough for me. Had to make three. I told you I love chips and dip!) 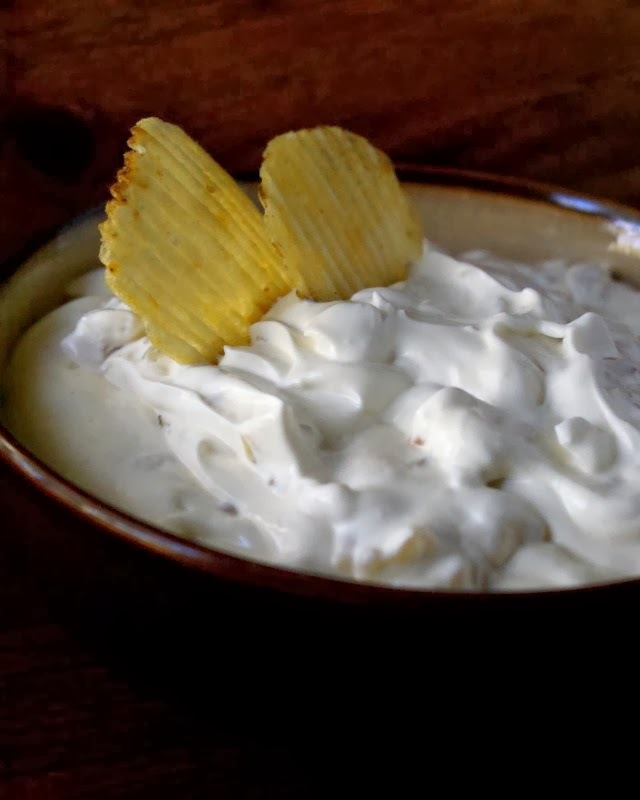 I'm sure if you make this Homemade Onion Dip at your next get-together it'll be a big hit! In a saute pan over medium heat, heat the oil then add the onions and 1/4 tsp kosher salt. Cook for 20 minutes, stirring occasionally, until the onins are caramelized and golden. Remove them from the heat and set aside to cool. Meanwhile, mix together all of the remaining ingredients. When the onions have cooled, add them to this mixture. Refrigerate until ready to serve. Give it one more good mix right before serving. I suggest making this at least 24-48 hours in advance. This dip tastes better and better the more time it has to let the flavors mingle! Hi there! I’m definitely going to try this, I live in Mexico and it’s very hard to find pre made dips, I am so in love with onion dip that I’ll ty it today, for how long can I store it? This will keep in the fridge for 3-4 days. Hope you like it! I just made it for a birthday party yesterday.